commercial premises for the company to operate from. 与高质量移民机构合作Work closely with a highly skilled Migration agent to lodge the visa documentation with DIBP. 在客户获得永久居留权后完全移交生意给客户Full hand over of business to the client after PR is granted. 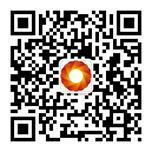 Beijing Jiaoyuan Exit&Entry Facilitation Services Co., Ltd.